The Wise branch of the family was amongst my earliest research endeavours. My paternal grandmother was Mabel Wise who was married to William Elliott Veitch Robson. Mabel died at Waverley Nursing home on 18 Sep 1971. I can clearly remember a phone call from my dad, Reginald George Robson, telling me that Granny Mabel had passed away. My sister, Lavinia Chrystal and I were at a skiing camp called Valhalla, down at Perisher Valley during the September school holidays, and by the time we returned to Sydney, Mabel’s funeral had already occurred. I didn’t know Mabel well, as she was very old and frail even when I was a small child. I can remember that she always used a walking stick. She had a lovely smile, a twinkle in her eye, was kind and very proper. Funnily enough one of my earliest memories was when Granny Mabel took my sister, Lavinia and me to the Australian Museum in College Street, Sydney on 4 September 1961. We caught the bus into the city and I can remember seeing an enormous dinosaur suspended from the roof. We attended a film at the museum and when we got up to leave, I promptly walked the wrong way and got lost. I burst into tears and can remember a feeling of absolute terror for the few minutes before being found by Granny and my less than impressed elder sister. I was only four years old and was turning five the next day and I can remember telling Granny how excited I was about my forthcoming birthday. I can’t remember my fifth birthday, but I can remember getting lost! 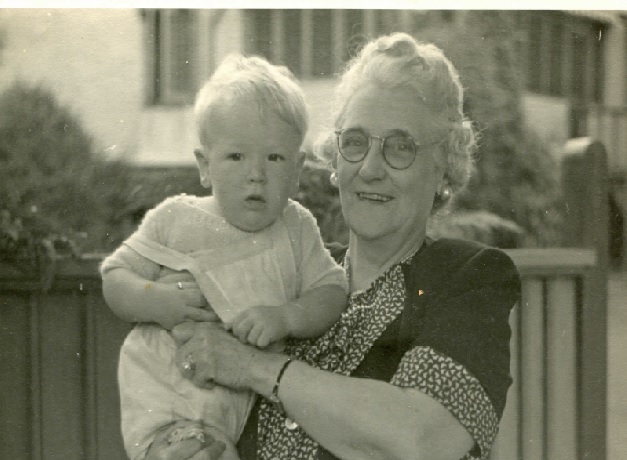 In her last years Granny was confined to a chair on her enclosed verandah at her apartment at The Chilterns, 593 New South Head Road, Rose Bay, where Dad used to take my sister and me to visit her on weekends. She lived opposite The Pier, more famously known later as Doyles and had a pretty view across Rose Bay. Our Dad had always told us that the Wises were from Waterford and Cork, Ireland and that his grandpa George Wise was a bit of a raconteur who was his favourite Grandpa. Dad used to tell us the story about his grandfather’s clock, which he was expecting to inherit from his Aunt Ruby. Ruby Wise was a sister to his mother, Mabel Robson. Ruby died on 3 May 1980 and I can remember coming home from work one day in late May 1980 to find dad in our dining room at Routala, 64 Wunulla Road, Point Piper, holding an envelope and an open letter. He looked really disappointed and I asked him what was wrong and he explained that he was informed by the executors of Ruby’s will that he had been left $100 by his aunt and that the clock was not to be his. I felt his disappointment as we walked to the front hall where he pointed to the spot where he had always imagined the clock would stand. In an extraordinary twist of fate, my dad was dead within another month, dying on 30 June 1980, after a sudden three week illness from lung cancer. It was a shattering time for our family and really tragic for our mother Vena, as theirs had been a truly happy marriage. My mum was devastated and it would take many years for her to adjust to widowhood. Only now, when I have become interested in the family tree, do I perceive how much history has been lost and how important it is to write up our family stories. I sometimes find an original document and despair with how little was recorded, when there were so many opportunities for our ancestors to give us just a little bit more information about themselves. It was quite a surprise when I collected Mabel’s birth record to find that she was born in Avoca, Victoria and I could see that some of her younger siblings were born in Percydale. I can remember going to Google maps and looking down on the tiny towns of Avoca and Percydale where she had spent her childhood, wondering how and why her family were living in that desolate part of the Australian outback. I was so excited to find this birth index because for the first time, I was finding my way back one further generation, with the surname Kilpatrick for Mabel’s mother being listed on her birth record; this was a key to opening my way to find the past. I was also interested in the name George, as this was my father’s middle name. Clearly he had been named in honour of his maternal grandfather. Researchers always look to the next generation with excitement when a mother’s surname is included and I was quickly learning this thirst for these new clues. I spent quite a deal of time searching for the birth of Agnes Amelia Kilpatrick in the Australian birth records and finding nothing, I gave up to concentrate on the Wises. A further chapter the Kilpatricks and Cranwills of Dublin will expand this part of our family history. I captured the birth record for Mabel’s brother Cyril Raymond Wise, known to the family as Kelly Wise, who was born in Percydale, a short distance from Avoca. It was interesting to see the birth of Ethel Wise, the youngest daughter of George and Agnes Wise being born in Paddington, Sydney. This was my latest clue, finding out when the Wises had moved from Percydale to Sydney. I now know that they must have gone via Wellington, New South Wales, where George started the Western Stores. I also noted the middle initial “E” for George now. My next search was to find the death record for George Wise and this record I very nearly rejected because of the listed death place as Queensland. 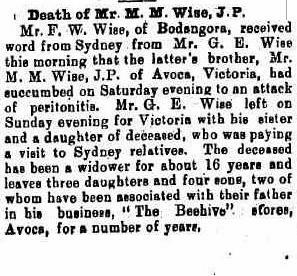 However a search through old Australian newspapers resulted in finding George Wise’s obituary and funeral notice, which mentioned George Wise’s sudden death in Townsville, Queensland. It was exciting to find George’s parents listed as William Macaboy Wise and Ellen Murray on his death record. I had never heard of these names before and little did I realise that I was on the verge of unearthing the most amazing and exciting area of my family research which would take me back to Cork, Kerry, Limerick and Dublin in Ireland. 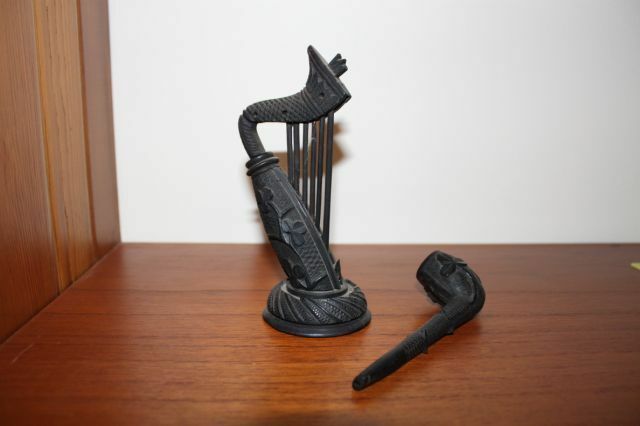 It was to be a challenge, as Irish records are scant and mostly unavailable, or destroyed as a result of the tumultuous and turbulent history of this fascinating country. 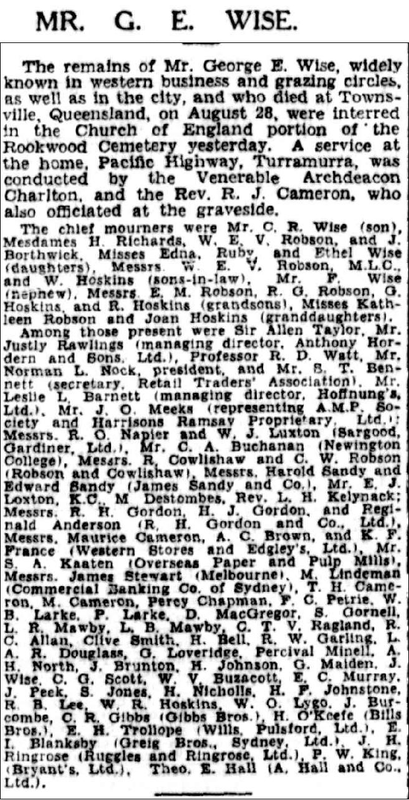 See below for reports of George Wise’s death from the Sydney Morning Herald 4 September 1933, including a photograph of George and also of his funeral on 6 September 1933, which my dad attended. This photograph in the newspaper showed an incredible likeness to Dad, even down to his white moustache! George Edwin Wise’s story will be expanded in George Edwin Wise and the Western Stores and a further chapter on the Wise Merchants of Cork will take the Wise family back to Ireland and place them into their Wise branch in Blarney Lane, now Street, in Cork City. For the very first time I realised that the oval portraits that had hung in our dining room at our family home Routala, 64 Wunulla Road, Point Piper, were of George Wise and his wife Agnes Amelia Kilpatrick. After my mother’s move from our family home in 1996, they went missing, and in 2011, just after I began my family research, Ann Loveridge nee Drury, my first cousin, very kindly gave me another photo portrait of George Edwin Wise, which I absolutely treasure. Ann’s mum Kathleen Drury nee Robson, was Dad’s sister. I was proceeding at a fast pace now. I had collected all of the birth records of Mabel’s siblings, as a result of seeing so many sisters in George Wise’s funeral announcement. I always knew about Aunt Irene, Ethel and Ruby and about Uncle Kelly, MC, our famous war hero, however I did not know about Edna, Lily or Ellen Wise and as such, did not really understand beforehand how the Hoskins and Richards’ families fitted into the Wise family. The collecting of these birth records for the family quickly extended my Ancestry family tree with each successive generation. It gave me a more complete understanding of the Wise family in Australia. I then concentrated on Avoca and the surrounding areas of Percydale and came up with a nest of Wise records that were quite overwhelming. It took a great deal of time to work out the brothers and sister of George Edwin Wise, not to mention the brothers and sisters of William McOboy Wise, George’s father. I spent days pouring over these records trying to make sense of the names, particularly middle names and dates, together with other records with similar parents listed. This collection of records that I added, enlarged the Wise family tree enormously and led for the first time for me to see on Ancestry.com other Wise family researchers collecting similar records. However, no one had attempted to place the Wise family back to Cork or Waterford in Ireland. After finding the death records for some of the brothers of George Edwin Wise, I had a sense of empowerment and understanding of my past. In particular I was intrigued and most pleased when I collected the death record for George’s brother Michael Murray Wise, realising that I was on the right track in concentrating my research on Victoria. It was also confirmation that this was a large family. What did come as a surprise was the fact that there was a bit of a hillbilly thing going on with Michael Murray Wise marrying his first cousin Kate Wise, the daughter of George Henry Wise, who was the brother to William McOboy Wise. 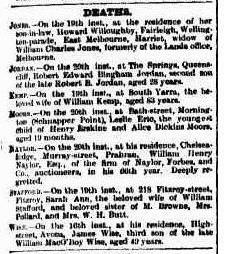 See the death and marriage records listed below, and also the death record for Catherine “Kate” Wise, the daughter of George Henry Wise, confirming how it came about that two Wise first cousins married in the isolated outback of northern Victoria. 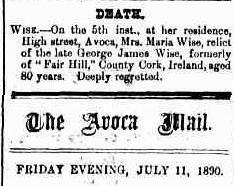 I collected other newspaper clippings regarding the Wise family of Avoca, I could see that another brother Michael Murray Wise had been a successful business man and citizen in Avoca. The wonderfully descriptive articles that I was collecting was giving me an incredible idea about the life of our Wise family in country Victoria. 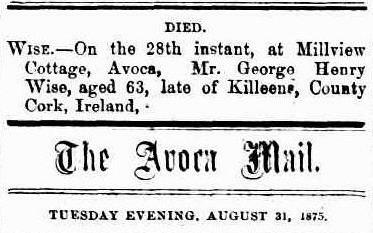 Michael Murray Wise was a grocer who ran a Wise General Store at Percydale and then later at Avoca, after the death of his father, William McOboy Wise he had his own business called M. M. Wise & Co which later became known as Beehive Stores, Avoca. Whilst collecting the records for the Wise brothers, I came across Ellen Wise’s death record, and was saddened and intrigued regarding the early death of my great great grandmother. One can only imagine what caused Ellen’s untimely and tragic death at the age of thirty six, leaving six young children to be bought up by her husband William McOboy Wise, a property manager, in the tiny country town of Avoca, Victoria. William never married again. Note: For some reason the chart from ancestry.com does not list children eldest to youngest. The photo above is of William McOboy Wise, and I believe it must have been taken just a few years before his death. At about the same time that I saw the Borthwicks, I also saw Ann Loveridge, my first cousin, daughter of Kathleen Drury nee Robson, the elder sister to my Reginald George Robson. Ann had some fascinating memorabilia, which included early photographs, which she very kindly shared with me. William McOboy Wise’s employment is described below in this excerpt from the Lamplough Name Index at the Avoca District Historical Society (ADHS), which I discovered online and found a most helpful resource. “Manager of John O’Halloran’s timber yard on site of Old Tattersall’s, or Theatre Royal. Went to Woodstock Station as supervisor, leased Lamplough run. (Sutherland, P 226. )” Alexander Sutherland. “Victoria and Its Metropolis. Past and Present”. Vol 2. 1888. On a visit to the ADHS I was told that William McOboy Wise’s huge profile in the Lamplough Name Index was a testament to his active and outstanding involvement in his local community. 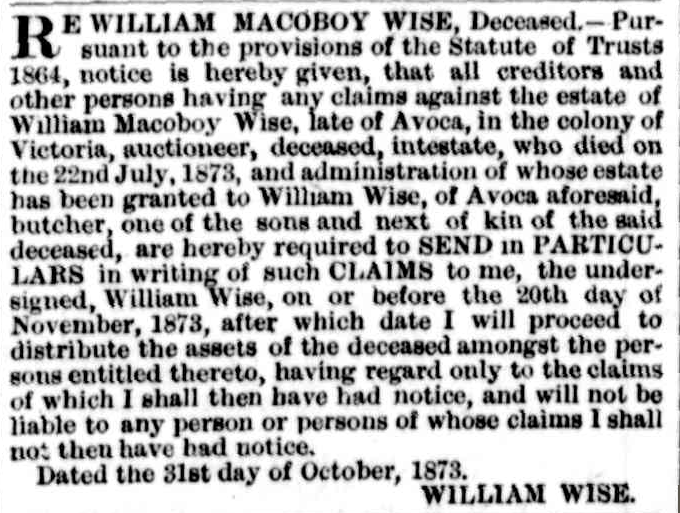 William McOboy Wise’s obituary recorded that over 500 people gathered to mourn him at his funeral, after he received fatal head injuries, when thrown from his horse on 22 July 1873, at Coffey’s Hotel near Avoca. William’s profile in the Lamplough Name Index is included at the end of this article, however information about his early life in Cork, Ireland, are included in a further chapter, Wise Merchants of Cork. 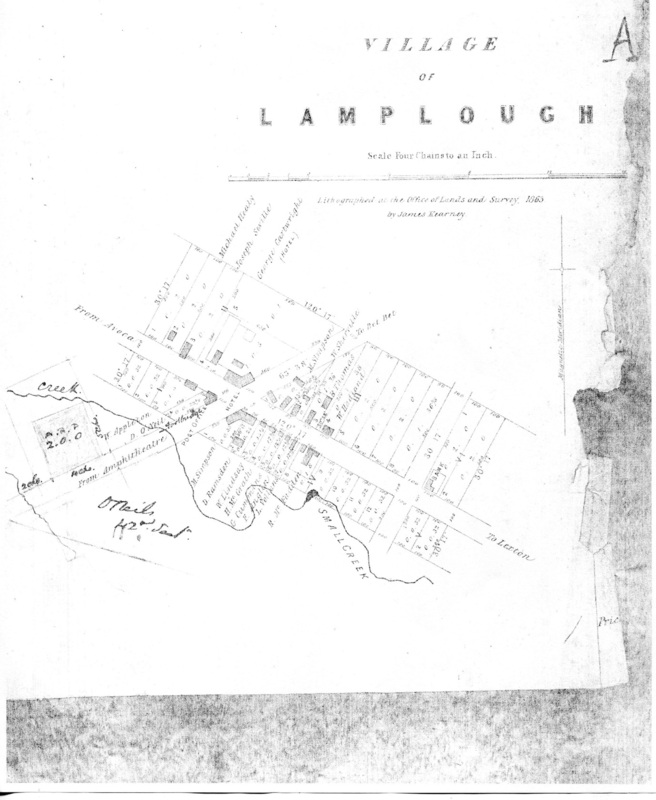 The Lamplough Name Index allowed me to discover the extent of William’s involvement in Avoca and was relevant in suggesting articles and records to further my research. 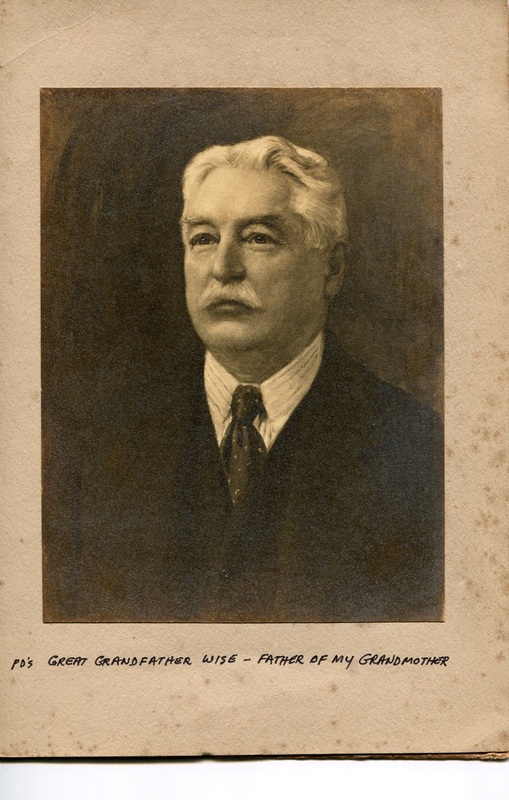 William was involved in the community as a property manager, auctioneer, gold assayer, Land Assessor, Voting Returning Officer for Avoca, Master of the Hounds, President of the Avoca Turf Club, Post Master, Volunteer Fireman, Steward at the Avoca Annual Races and local butcher and grocer, when he partnered James Kilpatrick, father to Agnes, to found the Kilpatrick Wise General Stores in Avoca and Percydale. 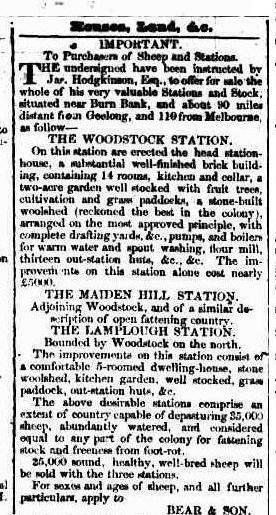 This newspaper clipping from the Argus, a Melbourne newspaper is clearly naming the two properties, Woodstock Station and Lamplough Station from William McOboy Wise’s employment near Avoca. 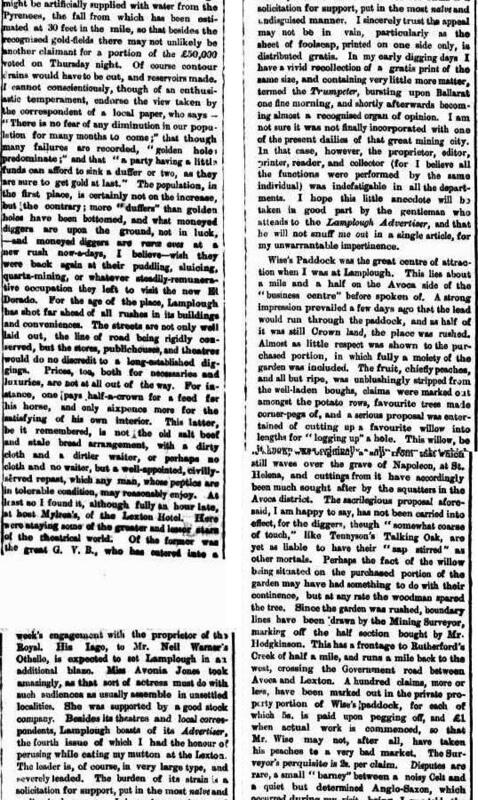 It was from this website, Trove Digitised Newspapers, that I began to get a real understanding of Avoca, Lamplough, which is about three kilometres out of the town Avoca and easy to miss, as there is no town to see on the main road and of Percydale, a ghost town another twenty minutes away and the history of this gold mining area during the late 1850’s. 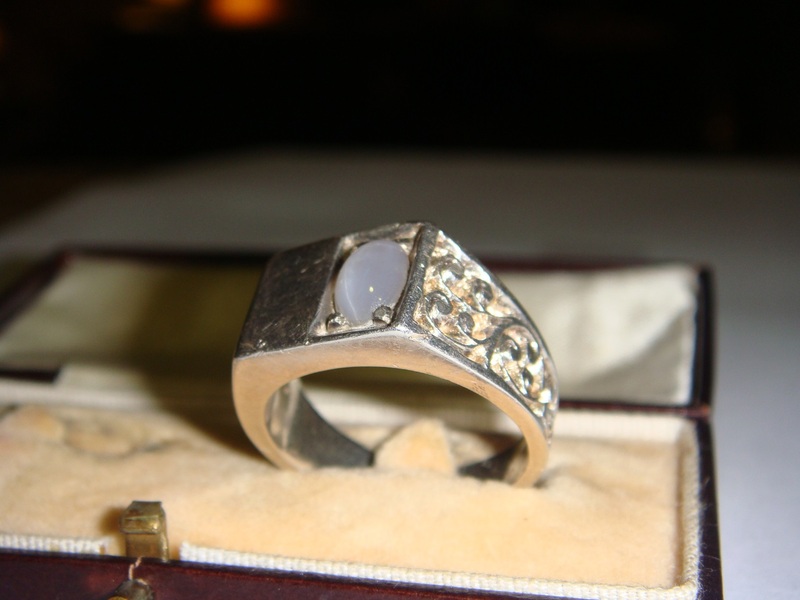 There were several references to newspaper clippings regarding gold being found at Wise’s Paddock at Lamplough. 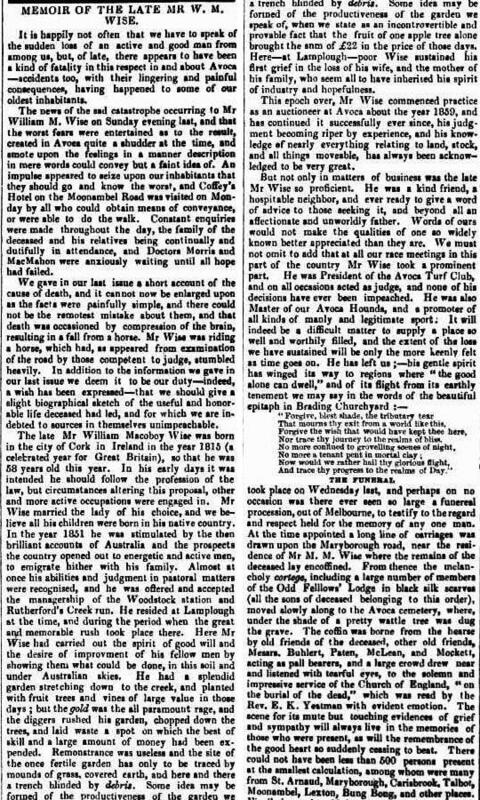 The following Trove Digitised Newspaper clipping is from The Argus, Monday 30 January 1860 and whilst lengthy, it does explain much about William McOboy Wise and the conditions he and his family faced during the gold rush. 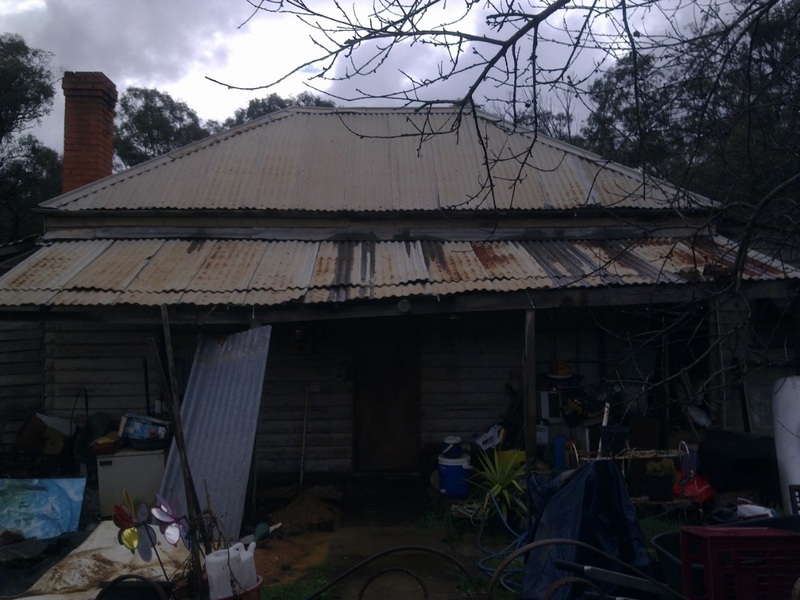 Its social commentary regarding the township of Lamplough is fascinating, particularly today as, on a side road, a ramshackle home, purported to have been William McOboy Wise’s old homestead and an old school house are all that is left to show any remnants of this incredible time of the Victorian goldrush. Keen readers who have read my other Wise chapter, Wise Merchants of Cork, will have seen the reference to the Wise’s connections with Napoleion Bonaparte, when Thomas Wyse of the Manor St John, Waterford, Ireland, a lawyer and Irish diplomat to Austria, eloped with Napoleon Bonaparte’s niece, the Princess Letitia Bonaparte. Thus “the willow tree planted in Wise’s Garden” being the only plant that survived the frantic push of the gold diggers, their spades, axes and shovels, is miraculous in itself, but also most intriguingly, is the mention of a willow tree which was purportedly a cutting from a willow which “waves over the grave of Napoleon Bonaparte on St Helena”. I almost fell out of my tree to see this reference to Napoleon, knowing that some of the Wise family of Waterford in Ireland also share the same lineage. Is it possible that William McOboy Wise farewelled his own extended family on the Cork docks, and that as a talisman for his safe passage and for prosperity in a new land he was gifted the willow tree to plant in his own garden in Victoria? It is possibly however, in reality, that it may just be a romantic notion. 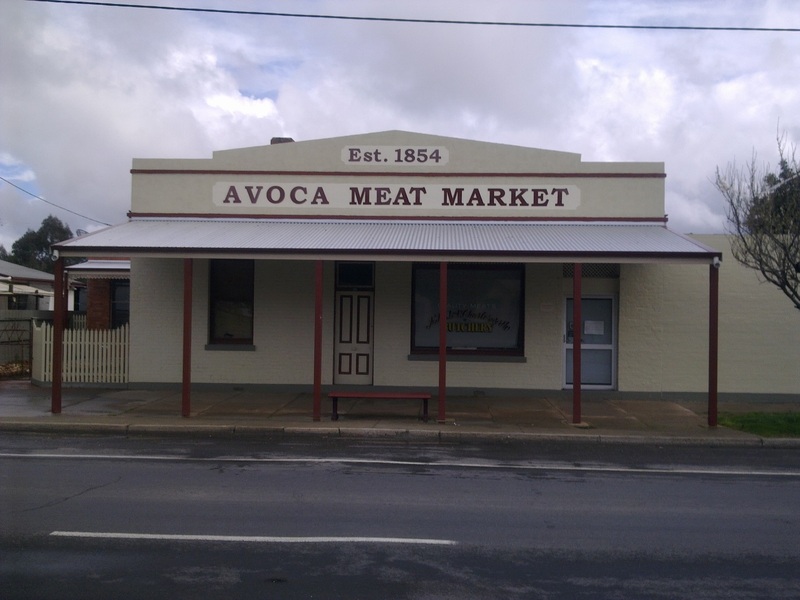 The Avoca Meat Market was founded and run by William McOboy Wise in 1854. Beside this shop was the Kilpatrick Wise General Store and apparently to the left hand side of this building William ran his auctioneer business. Main Street, Avoca. These photos were taken by Virginia Rundle during a visit to Avoca, Victoria in 2011. It must have been a great shock when William McOboy Wise was thrown from his horse and severely injured on 22 July 1873, as can be seen from the next newspaper clipping, this telegraphic despatch was rather like a modern newsflash stating the fear that that his injuries may prove fatal. 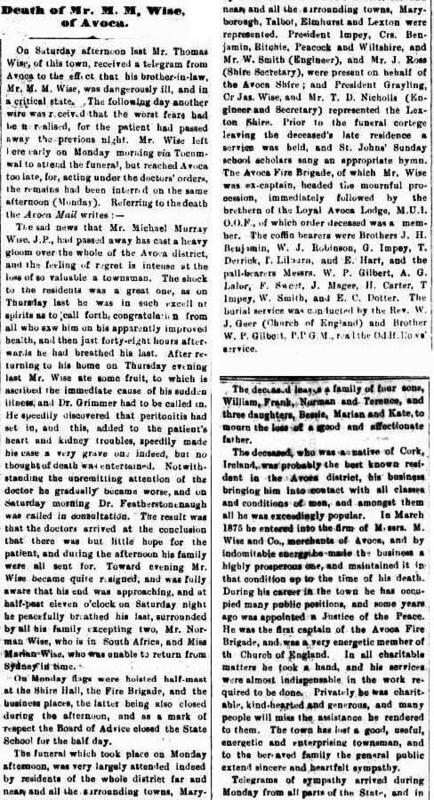 Avoca Mail 25 July 1873, Obituary and funeral report for William McOboy Wise which took place on 23 July 1873. It was incredible and quite overwhelming to read this article and see how well loved William was in his community. I am so proud to be his Great Great Granddaughter. 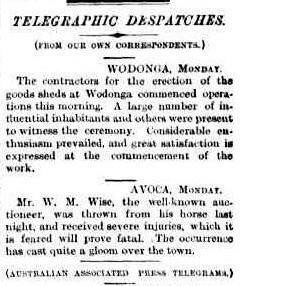 In Memorium, Avoca Mail, 22 July 1873 by J.C. 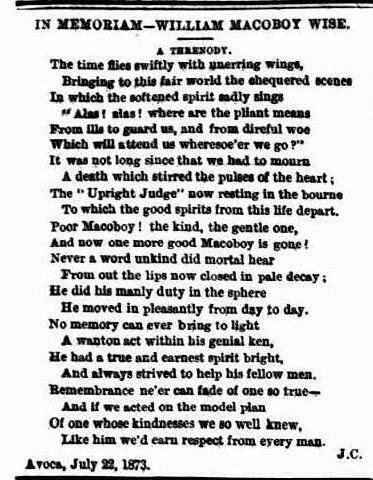 I have no idea who the author of this poem might be and apart from his initials, it is such a touching and wonderful tribute to my great great grandfather. This description of his kindnesses and his gentle spirit allows one’s heart to soar with pride. 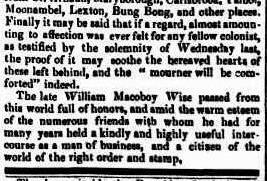 It was with a most profound pride that I read the account of William McOboy Wise’s death, his obituary and the report of his funeral. William was indeed a remarkable man and he obviously had a magnetic personality, becoming involved with so many people and their community enterprises. I am sure he was a competent horse rider and it must have been a terrible shock to the community that this was the way he met his death, when he was thrown from his horse. 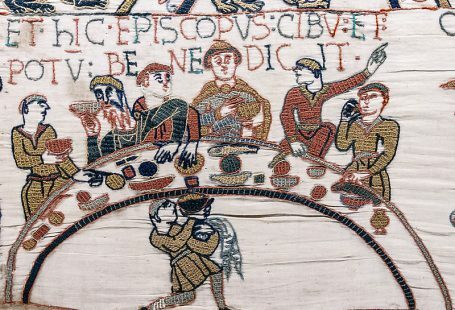 William was obviously not expecting to die any time soon and as such was ill prepared for his death when he died intestate. The documentation which I obtained from the Public Record Office of Victoria is a lengthy but interesting legal document of his intestate will which was managed by William Wise Jnr, William’s McOboy Wise’s fourth son, who gave his occupation as a butcher. It is a valuable family history record, which helped me place William firmly in his family. 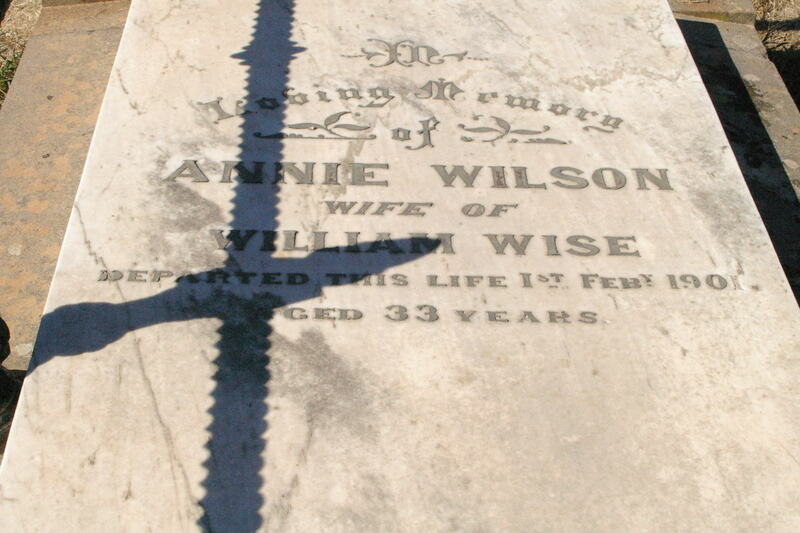 Annie Wilson Wise is buried in a lovely grave at Avoca in another row adjacent to other members of the Wise family; she was only 33 years old. 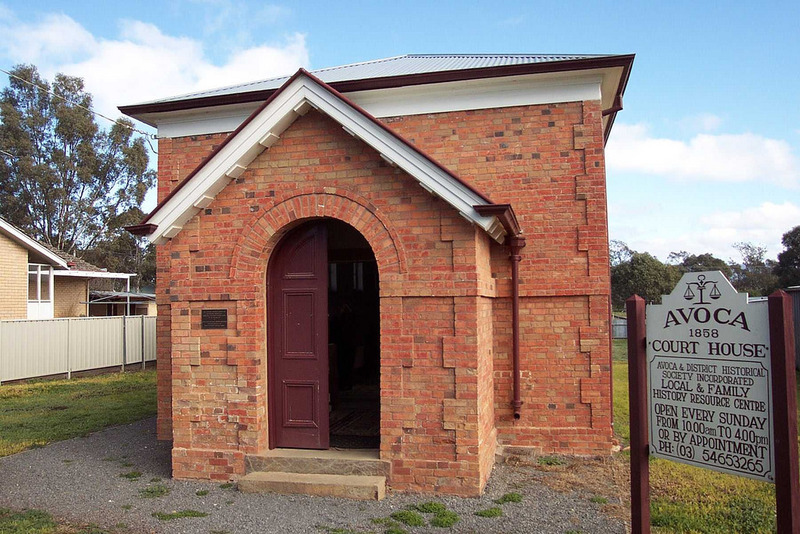 Her husband William Wise (1848-1924) was a butcher in Avoca for many years before moving to Gilgandra, New South Wales, managing one of the Western Stores for his brother George Edwin Wise. His sister Ellen Alice Wise (1847-1930) never married; she was the only daughter of William McOboy Wise and Ellen Frances Matilda Murray, who also settled in Gilgandra, New South Wales. This article appeared in the Avoca Mail and the Argus newspapers after William McOboy Wise’s death and presumably the store was taken over by his sons who were active in the business. An interesting fact is that in the same year of William’s death in 1873, two sons of William McOboy Wise married two of the daughters of James Kilpatrick. George Edwin Wise married Agnes Amelia Kilpatrick and Henry Wise, George Edwin Wise’s eldest brother married Jane Isabella Kilpatrick, an elder sister of Agnes Amelia. At this stage I do not have the exact dates of their marriages, and do not know if they were married before William’s untimely death. 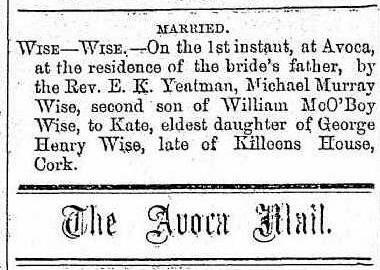 Another son Michael Murray Wise was active in both the stores in Avoca and Percydale and he married his first cousin Kate Wise in 1870, the daughter of George Henry Wise, William’s elder brother. 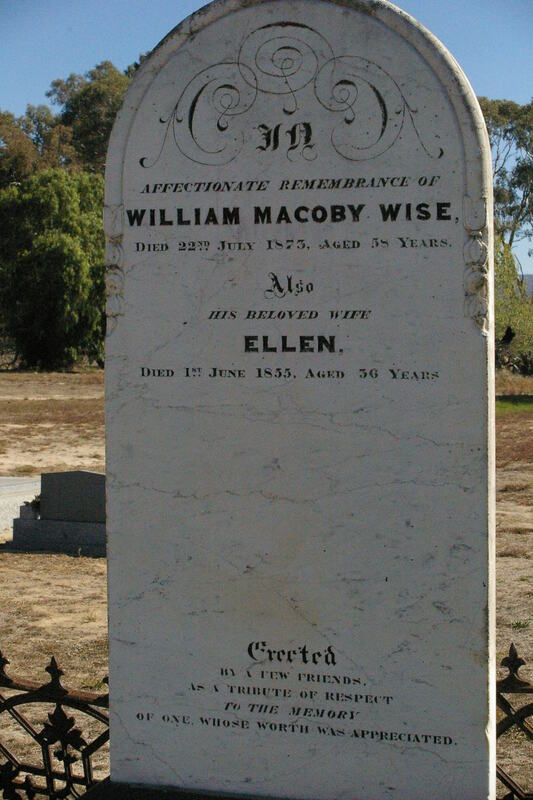 At the time of William McOboy Wise’s death he was grandfather to two of Michael and Kate Wise’s children, Elizabeth Kate and his namesake, William McOboy Wise. Henry and Jane Wise moved from Avoca shortly after their son Frederick William Kilpatrick Wise was born in Percydale and they lived in Wellington, where Henry was appointed Postmaster and later at Bodangora where they ran a general store. 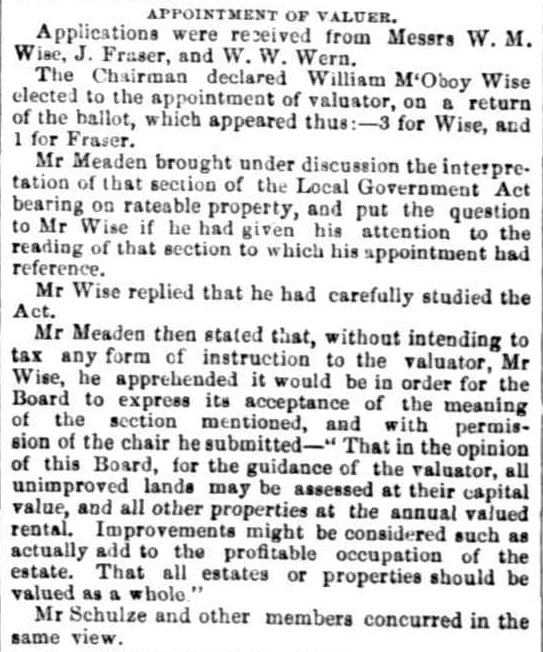 Henry Wise was appointed a New South Wales Magistrate in 1899. He also helped his parents-in-law James and Eliza Kilpatrick run their Post Office and General Store in Mile End, Adelaide, after they also moved out of the Avoca area after the death of his business partner William McOboy Wise. Earlier I had found records for another son of William and Ellen Wise living at Avoca, this was James Wise, who married Mahala Reed on 10 Aug 1872. I found their marriage record, which was registered in Maryborough, a township about 20km from Avoca. It was about this time that I linked into another ancestry tree online and received a message from John Lee, whose Wise family tree concentrates on George Henry Wise (William McOboy Wise’s elder brother) and his wife Elizabeth Humphries and their large family. We corresponded and John informed me that his ancestors were part of the Wise Flour Mill branch of the family. 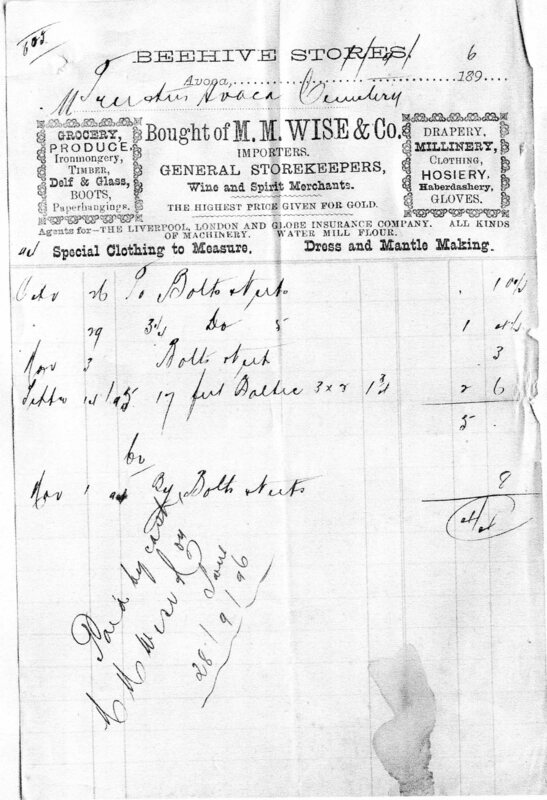 More regarding the Wise Flour Mills will be dealt with in the chapter on George Edwin Wise and the Western Stores. It was John Lee who kindly gave me a photo he had from his album of James Wise and his wife Mahala Reed, which came from the photograph collection of Felicity Gabrielli, and an old photo of the grave of George Henry and Elizabeth Wise from Avoca cemetery. John Lee is a direct ancestor to George Henry Wise and Elizabeth Humphrys through their son Thomas Walter Wise, see their Family View Report listed later in this chapter. I found this notice about James Wise and could see that sadly he must have succumbed to his injuries. I have searched extensively for the grave for James and Mahala Wise and I am convinced that the large space next to William McOboy and Ellen Wise’s grave at Avoca is that of their unmarked grave. It was quite by chance that I came across the Wise Family Tree, a detailed unsigned document which dates to the early 1980’s. I caught up with my second cousin Peter Borthwick and his wife Helen in 2011 at a family gathering and when I explained that I was researching the family tree, they told me they had a Wise family tree which was authored by Peter’s grandmother, Irene Borthwick. Aunt Irene was my great aunt, and sister to my grandmother Mabel Robson, both being the daughters of George Edwin and Agnes Wise. The contemporary Australian content is a testament to the diligence of Irene Borthwick, as she lived in England, and I think she used the tree as a way of keeping in touch with the Wise family back in Australia, jotting down each branch and adding in new names as the Wise family descendants grew. It remains a valuable family document, and whilst not complete or entirely accurate, it is an amazing piece of family history at a time when communication was by letter, and the purchase of BDM (Birth, Death & Marriage) records would have been expensive and difficult to obtain. One of the other sources that I have used to help place our family into the correct Wise line was a book published in 1930 called Leaske’s Genealogical Guide to some Australian Families. Leaske prefaces his book by explaining that he relied mostly on family members to provide his information. It is a masterpiece of its time, and was a very helpful and interesting document, that also has its inaccuracies. What piece of family research doesn’t? It is not possible to be one hundred percent correct with family history and information that is handed down verbally by family members will quite understandably leave out anything that could put the family into a bad light. Leaske’s book is out of print, however it is held in several public libraries. I firstly tried to obtain it at the NSW State Library, where they had two copies of the book listed in their collection and found them both missing. Likewise, on a trip to Newcastle Library, I was unsuccessful and my last avenue of opportunity in New South Wales was at NSW University and knowing how difficult it is to park, I enlisted my sister Lavinia for the journey. After a quick search we found a dusty and untouched book on a back shelf and it was with great excitement we discovered that our Wise family of Victoria was listed in great genealogical detail over several pages. It is sad that this out of print book is being pilfered by reseachers from our Libraries. Leaske based his family reporting in the style of Burke’s peerage and at first glance it seems a complicated method, however with practice it is happily conquered. It is a simple way of showing several generations in a concise style starting with one ancestor, much the same way that genealogists create a descendant chart. Leaske claimed that William McOboy Wise married his first cousin Ellen Murray. This statement I find difficult to accept, for the reason that Ellen came from Prospect Hall in Limerick, a fact recorded in the Wise Family Tree. The Borthwick Family Tree also noted on the tree that Ellen Murray was a Roman Catholic and an understanding upon her marriage, was that her children to William McOboy Wise would be bought up in the Church of England faith. I think Leaske confused the marriage of their son Michael Murray Wise who married his first cousin Kate Wise, the daughter of George Henry Wise and Elizabeth Humphries, with William McOboy and Ellen Wise. 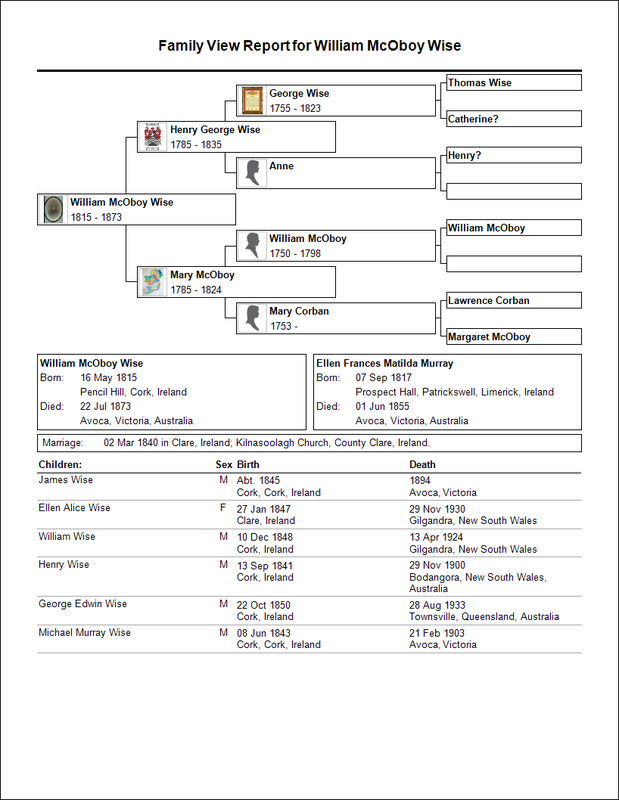 Another interesting comment on the Wise Family Tree was the fact that William McOboy Wise had a falling out with his father over his marriage to a Catholic girl and after his migration to Australia, he lost touch with the family. 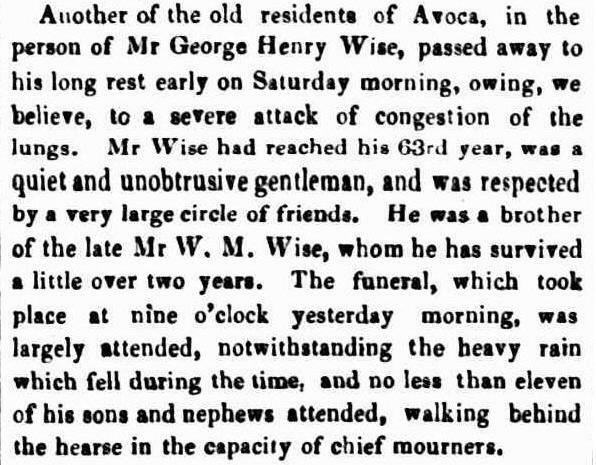 I think the falling out may have been the result of his business enterprises going badly in Ireland, more than anything else, as I now have information that Henry George Wise actually died on 23 June 1835, well before William’s marriage to Ellen Murray in 1840. The marriage of William and Ellen Wise and the family of Henry George Wise are dealt with in other chapters, Wise Merchants of Cork and the Murray Family of Limerick, Ireland. William McOboy Wise is regarded by the extended family as our founder here in Australia, having arrived in Australia with his wife and children in about December 1851, after leaving Cork in September 1851. Exhaustive searches have not found a definitive shipping record for their immigration. I believe that they were unassisted migrants and as such these records are rarely found. Sometimes early Australian newspaper reports of ‘Shipping Intelligence’ list families arriving into Australian ports. Convict and assisted migrations are almost always available, as was the case for George Henry Wise and his family in 1861. 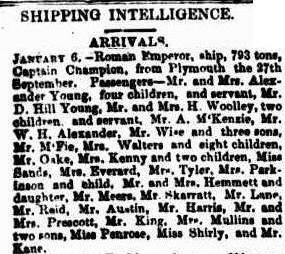 The Wise Family Tree states that the Wise family arrived into the port of Sydney, and I have collected a newspaper clipping listing a Mr Wise and his three sons arriving in Sydney on the Roman Emperor on 6 January 1851. 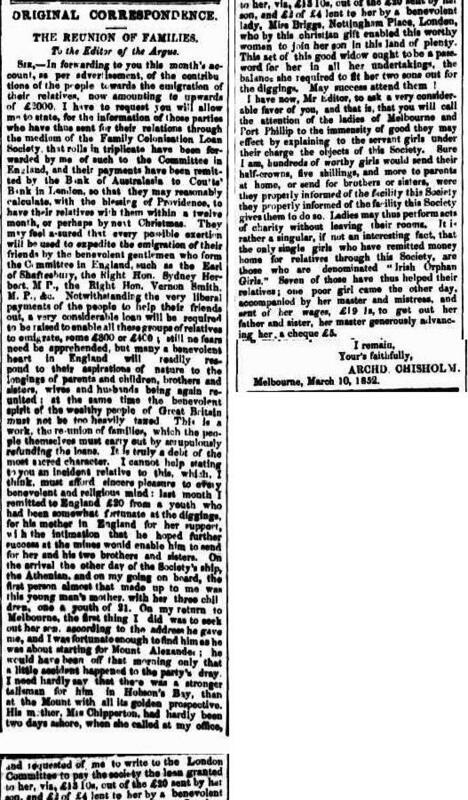 Recently I found a newspaper advertisement which gives the first information confirming William McOboy Wise’s approximate arrival in Australia. It is by no means a record or even correct, but it is an interesting article and at this stage I don’t know anything about Jeremiah Clifford. I can only presume that Jeremiah was from Ireland himself and that he obviously knew William and his family before his migration and had information or a letter from Ireland for him, or he recently arrived in Australia and wished to renew his acquaintance with William. A quick search yielded the following newspaper transcription from May 1904 confirming that Jeremiah Clifford was indeed an Irishman and his association was probably from William’s time in Kerry, Ireland, although it was no other help. The Wise Family Tree claimed that George Edwin Wise was born on board ship during the Wises voyage to Australia. This is interesting information, although I believe it to be incorrect. 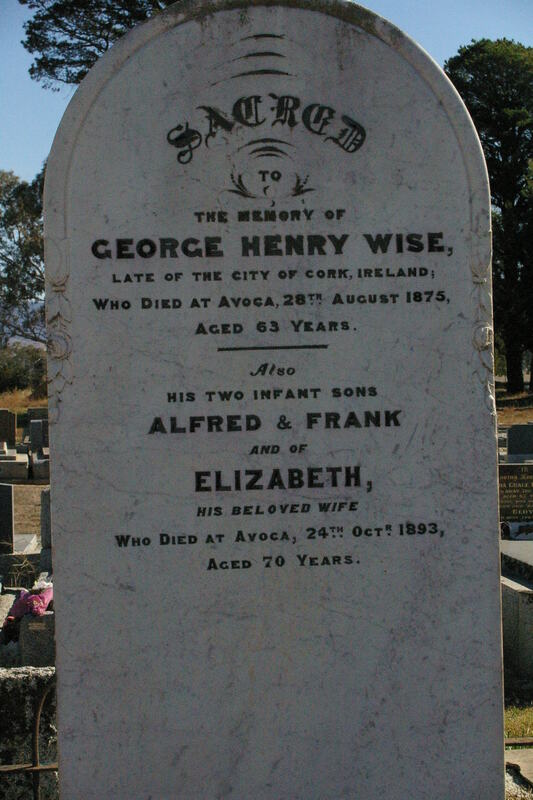 George Edwin Wise’s obituary claims he was a native of Waterford, Ireland. I have no record which supports this claim from the newspaper article either, other than presuming that his wife and children gave the newspaper the information regarding the origins of the Wise/Wyse family in Ireland. However, I have collected a birth/baptism record from Ireland which I believe is correct, although as yet this record does not confirm the names of his parents. In the future I would like to access this record to see if there is further information naming his parents and their address, as I believe this is possibly George’s birth just before the family migrated to Australia. This more correct date then negates the arrival of the Wises in Sydney in January 1851, due to the length of time of voyages from Ireland to Australia. 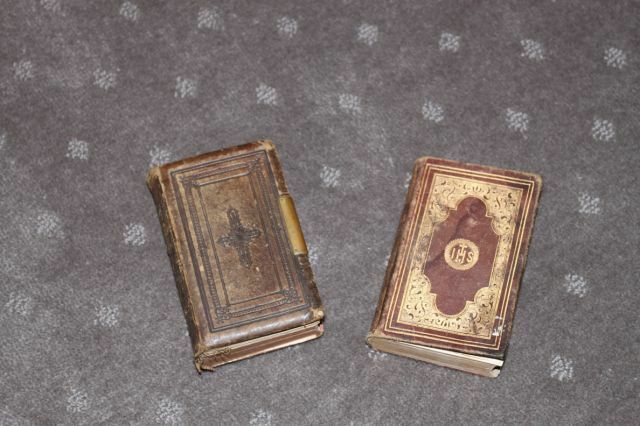 George’s birthdate above is supported by his entry in Wise family bible which is owned by Geoff and Anne Wise of Dubbo. Geoff Wise being the great grandson of Henry Wise, William McOboy’s eldest son. I found Geoff Wise and his Dubbo address listed in the Wise Family Tree as the son of Allan Frederick Wise. 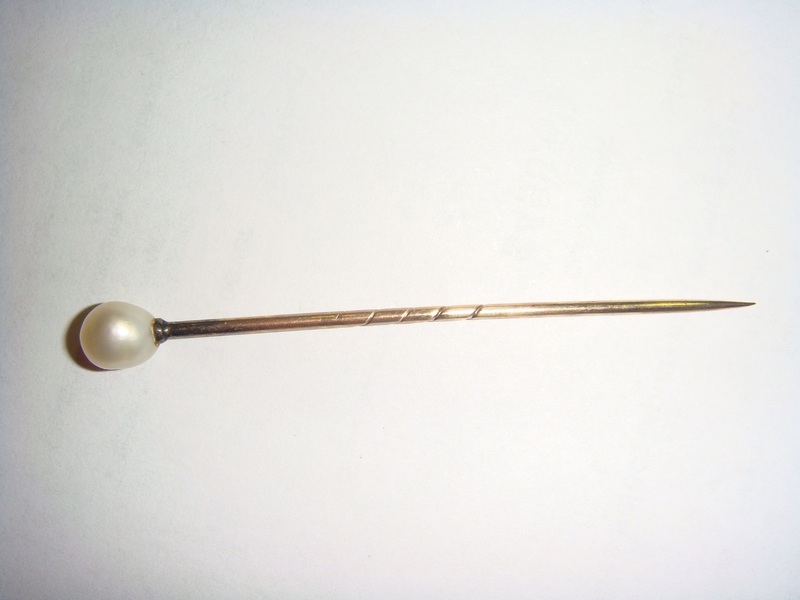 Ann Wise very kindly emailed photographs of the family bible, a pipe and stand, tie pin and ring, which belonged to William McOboy Wise, after I chatted with them on the telephone. It was so exciting to speak to them and they had great knowledge of William McOboy Wise, George Edwin Wise and Kelly Wise. Later Ann Wise came to Sydney and my sister Lavinia Chrystal and I met with her for coffee and we enjoyed chatting about our early Australian ancestors. Wise Family Bible showing family tree page, owned by Geoff and Anne Wise of Dubbo. I now had several pieces of information at hand to help me try and determine the ship that the Wise family arrived on from Cork and I felt I was now closer than ever to this quest. 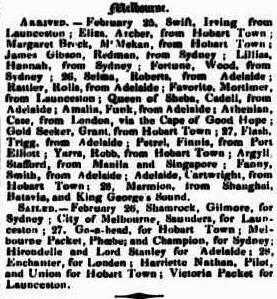 After finding no assisted migration records for the Wises, I was sure my only hope of finding their ship was through shipping arrivals in old Australian newspapers and so I turned to Trove Digitised Newspapers again. Trove is a wonderful online resource from the Australian National Library and I narrowed down my parameters to the end of 1851 and the early months of 1852 to see if I could find a ship arriving in Sydney or Melbourne that mentioned the Wise family. 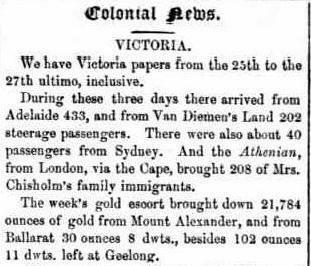 It was exciting to find this newspaper clipping showing William Wise and family arriving in Melbourne aboard the Athenian. I am now almost certain that this mention in the Argus newspaper is correct for “William Wise and family” arriving in Melbourne. Clearly the Athenian left London for Melbourne, via Cape Town. I wondered if it stopped at Cork on the journey, as so many ships did, to pick up supplies before the long journey to Cape Town and if so, this was where the Wise family joined the ship. 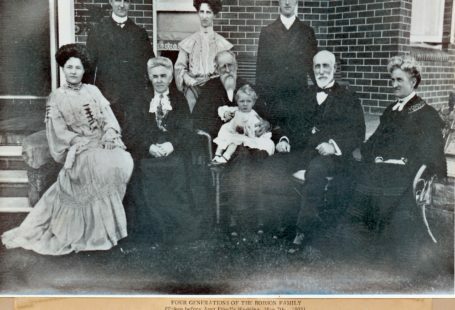 Through Leaske’s book Genealogical Guide to some Australian Families I was able to discover the existence of William McOboy’s sister Mary “Maria” Wise, who had married her first cousin, George James Spratt Wise, “the son of James George Wise and ? Spratt of Pencil Hill, Co Cork, Ireland”. James George Wise being a younger brother of Henry George Wise (William McOboy Wise’s father). I spent a great deal of time placing the family information from Leaske into my Ancestry online family tree in an effort to take the Wises back to Ireland and place the family into their correct place in Irish social history. 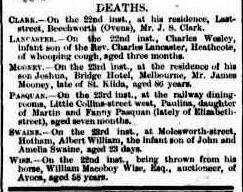 The Australian Death Index for William McOboy Wise, which I had found earlier was helpful in identifying William’s father’s full name and his mother’s maiden name. As a novice genealogist, it was also comforting that Leaske also confirmed these names in his book. I collected many records to confirm Leaske’s information. One of them that was pleasing was the death record of George James Spratt Wise confirming his Irish parents from Cork. It was Leaske who indicated the maiden name of James’s mother as Spratt, and the record below that gave me Martha as her Christian name. Irish naming patterns traditionally mean that the eldest son is named after the paternal grandfather, and the second son will be named after the maternal grandfather, thereafter a son will be a namesake of his father and the fourth son will usually be named after a favourite brother or uncle, thus keeping familial names repeating down the generations. Naming patterns for the female side follow the same traditions. James and Maria Wise’s family demonstrates this tradition extremely well. 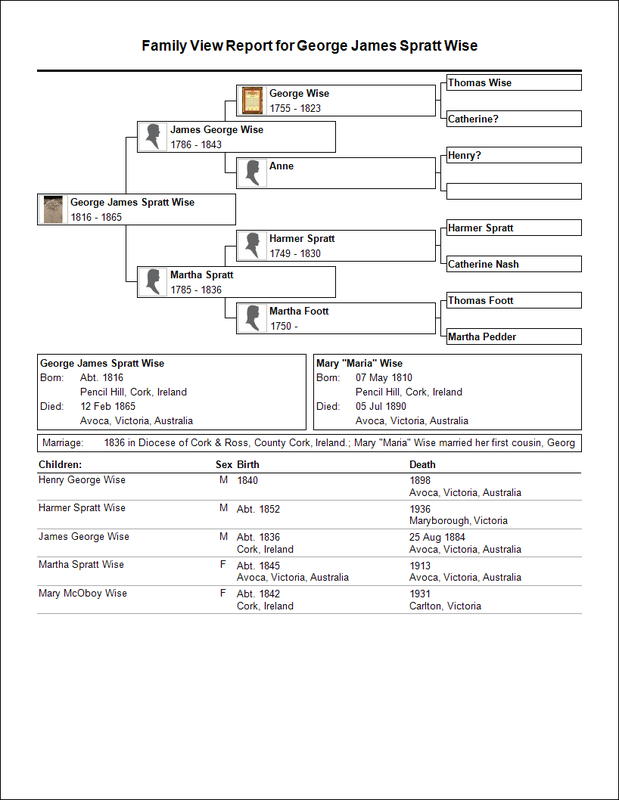 As you will see below from the Family Report View, George James Spratt Wise was the elder son of James George Wise. 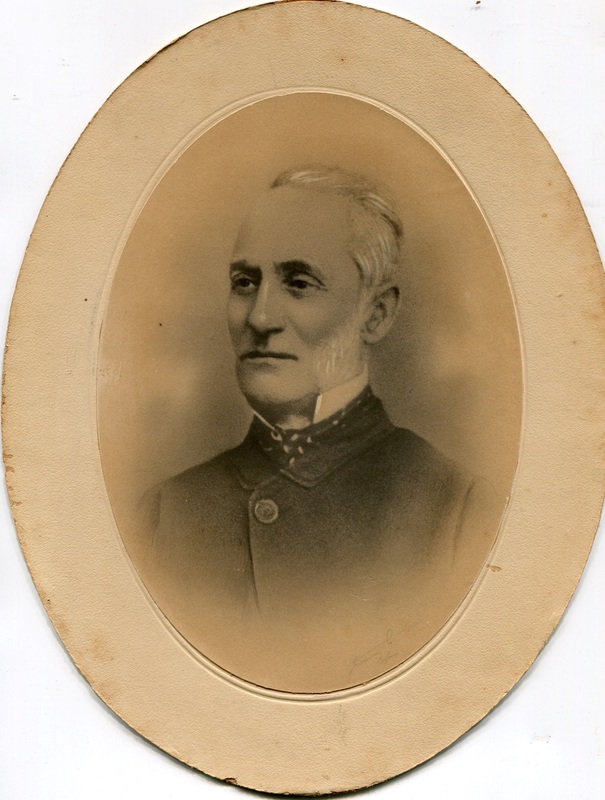 George James Spratt Wise then named his son James George Wise in honour of his father, his second son was named Henry George Wise in honour of his wife Maria’s father and their third son was named Harmer Spratt Wise after his maternal grandfather. Their daughters were also given significant middle names. Their elder daughter Mary McOboy Wise was named in honour of her maternal grandmother and their younger daughter Martha Spratt Wise was named in honour of her paternal grandmother. It was wonderful to see information about the Wise’s home Fair Hill in County Cork, another key to unlocking the past. 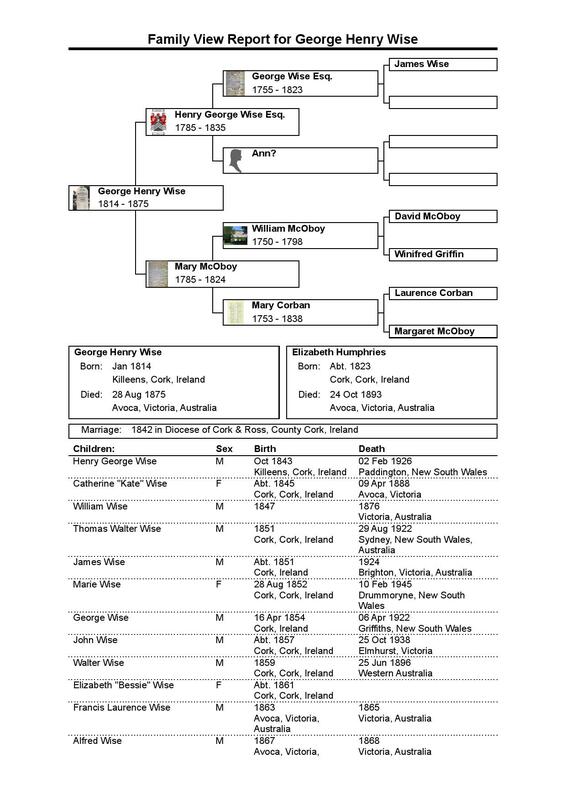 I have included below the family group sheet for George James and Maria Wise showing George James Wise’s most interesting lineage from several very distinguished Protestant Irish families. His line can be taken back centuries thanks to other family history book, documents and charts. For some reason the ancestry.com chart does not list the children from eldest to youngest. George James Spratt Wise married his first cousin Maria Wise, the sister of William McOboy Wise and George Henry Wise; siblings who all migrated to Avoca, Victoria. 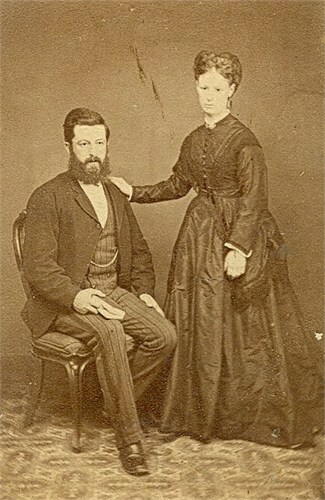 George James Wise and his wife Maria Wise, migrated to Melbourne, Australia to join William and his wife Ellen Wise in Avoca aboard the small migrant ship the Hannah Maria, which stopped in Adelaide to drop off passengers, before continuing on to Melbourne. On this last leg of the journey disaster struck the ship, which was wrecked off what is now known as Ninety Mile Beach in South Australia. All passengers and crew survived however, sadly, all possessions aboard the ship were lost. The Wise family are not mentioned in the shipwreck individually, however they are mentioned in other literature and newspapers in regard to the shipwreck and their arrival in Avoca with historic reflections about early Australian settlers. 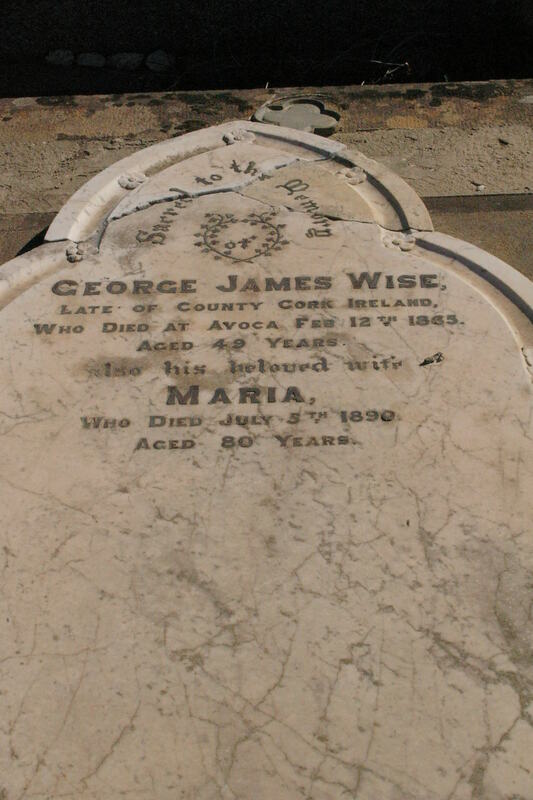 It must have been such a blow to George and Maria Wise to lose all their belongings, to add to their previous woes in Ireland when George was imprisoned for a short time for his debts. Then the brave decision to migrate to join Maria’s brother William McOboy Wise in Avoca, Victoria, must have been a huge strain on the family and now coupled with the shipwreck, they must have wondered what star was guiding their lives. 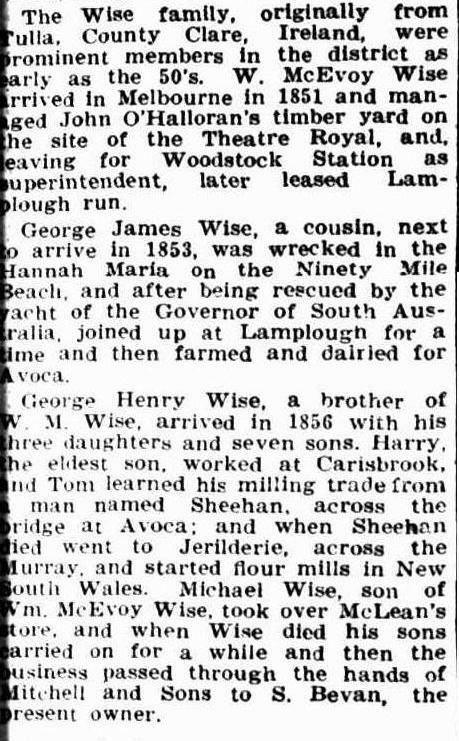 Whilst the article is not entirely accurate it is wonderful to see this short history of the Wise family in an account of the three Wise siblings who migrated from Ireland, namely William McOboy Wise, Maria Wise and George Henry Wise. William McOboy Wise’s elder brother was named George Henry Wise and his father was Henry George Wise. William McOboy Wise was Henry George Wise’s second son and he was given his maternal grandfather William McOboy’s name as his first and second names. Another name that was impressive was William and Ellen Wise’s second born son, who was given his maternal grandfather’s name, Michael Murray Wise. It is these names that allow the genealogist to take a considered guess as to the names of parents of the previous generation. I was therefore fairly confident that Henry George and James George Wise’s father was George Wise – a simple deduction, however it needed confirmation. This also applied to women and very often they will be given a mother’s maiden surname as their middle name, often linking them back to the maiden name of their grandmother. 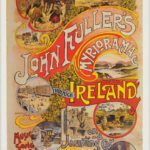 In particular, it has been our Irish heritage that has been traced back to further generations by using these naming patterns. Records in Ireland are scarce and hard to come by, coupled with hundreds of years of unrest, a terrible famine and a depression, a less than diligent tradition for record keeping and the fact that in 1922 the Dublin Public Record Office (PRO) burnt to the ground by an English offensive against the newly formed Irish Republican Army (IRA), taking with it precious records of our past ancestors. The English had decided that deep within the building the IRA was hiding their ammunition, and apparently there was a great blaze. It has therefore been a struggle to find any surviving parish church or registry records for our Wise and Murray families. 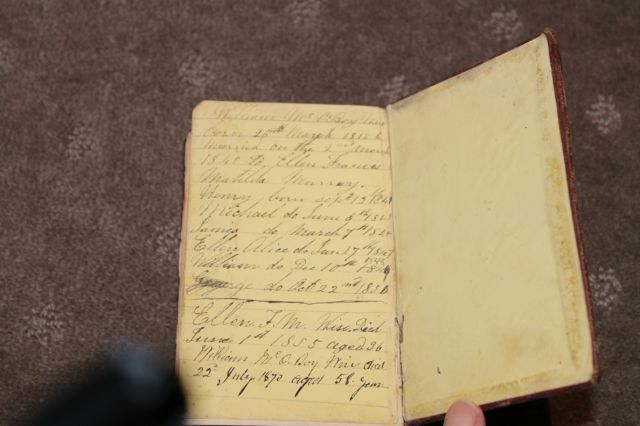 The record below belongs to George Henry Wise, who was William and Maria Wise’s elder brother who travelled to Australia in 1861 on the Great Tasmanian and started up the Wise Flour Mills of Victoria. He migrated with his wife Elizabeth Humphries and their large family of nine children. Migrant and shipping records were more readily available after 1860 and the immigration of George Henry Wise and his family was easily picked up. It was wonderful to see this newspaper clipping which confirmed our Wise family’s origins as Cork and not Clare, Ireland and it was even more exciting to have an address. I could see from maps of Cork that Killeens House was just out of Cork on the road to Blarney Castle. 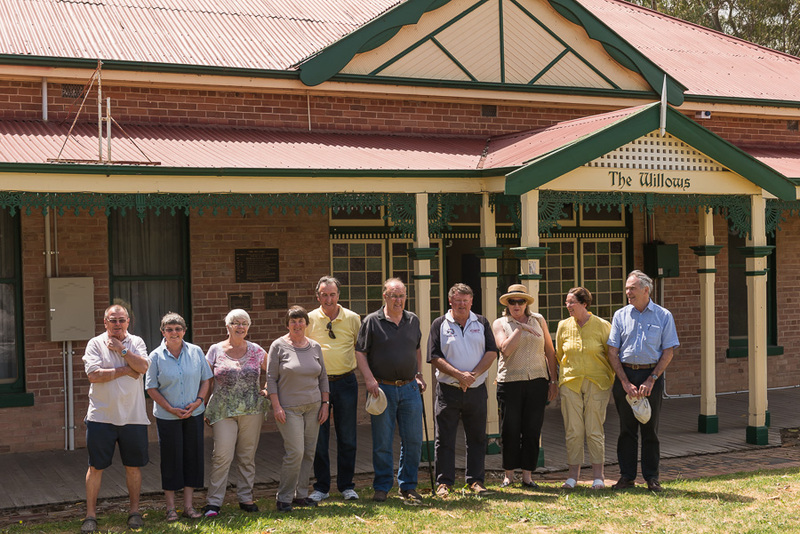 The reunion was held at Narrandera in November 2013, a tour of the Wise Flour Mills, a trip to the old Wise family home The Willowsat Jerilderie and an evening meal included talks, information and an opportunity to add your family tree to a large wall chart was greatly enjoyed by many Wise descendants. 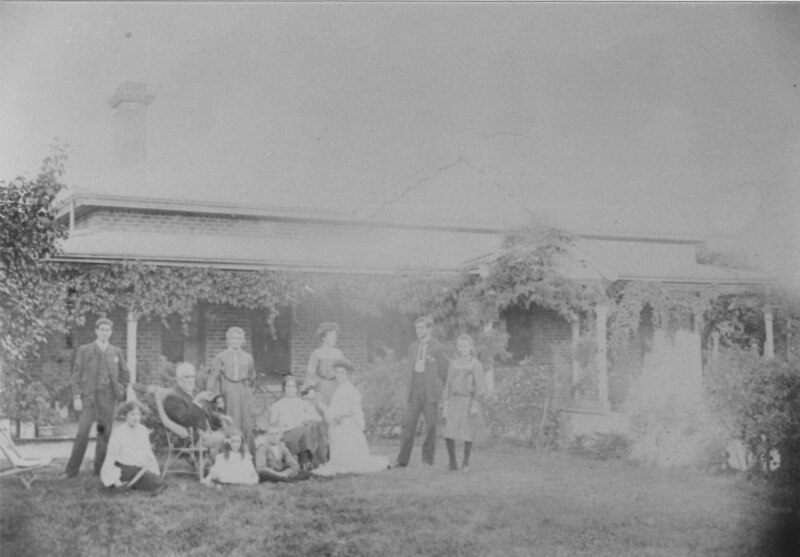 The Willows was the family home of Thomas Walter Wise, a son of George Wise and Elizabeth Humphries, who was the founder of Wises Flour Mills at Narrandera. He was also Mayor of Jerilderie in 1892. 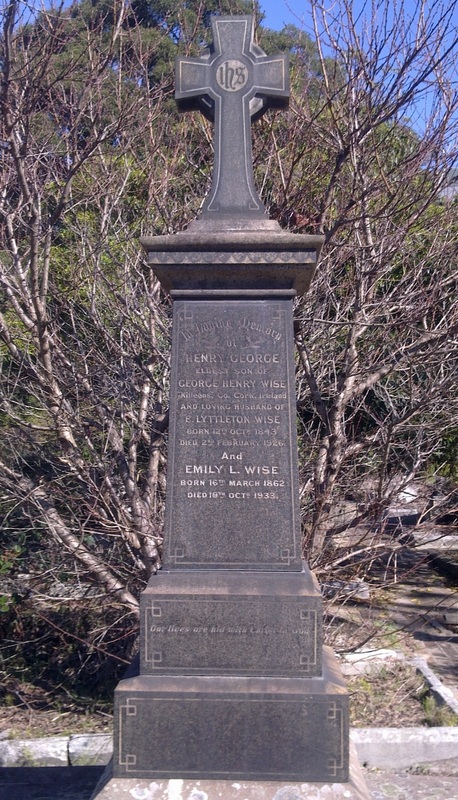 Grave of Henry George Wise, son of George Henry Wise, Gore Hill Cemetery, N. Syd. Note the mention of Killeens, Co Cork, Ireland on the grave monument. The above gravestone I discovered online whilst doing a Google search for Henry George Wise. I must admit it came as quite a shock to see this photo, which was found amongst “Irish headstones of note from Gore Hill Cemetery, North Sydney”. This information led to a visit to Gore Hill one fine morning shortly thereafter, together with my sister Lavinia and armed with nothing more than this gravestone image. Upon arrival we found a most wonderful, although very neglected cemetery hidden away beside the Pacific Highway, much of it in dense undergrowth. 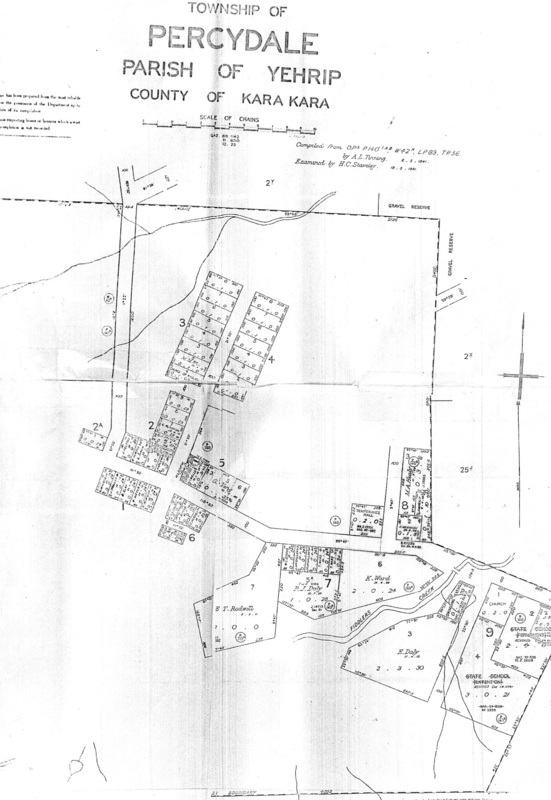 The main road through the cemetery is still in good condition and the layout is described in various maps, dividing the cemetery into religious denominations. A fruitless search found my sister and I talking with a groundsman, who gave us the phone number of a volunteer group, and within minutes we had phoned, received co-ordinates and were standing in front of this most impressive monument. After searching the online ADHS site again, I came across some information about a website managed by a volunteer husband and wife team, George and Carol Judkins, keen cyclists, who have combined their sport with photography and have recorded and transcribed graveyards throughout country Victoria. Luckily, on their list was Avoca Cemetery, which they had photographed with an offer to send photographs for free, if any were of interest. I immediately found listed the gravestones of William McOboy and Ellen Wise, their son, Michael Murray and Kate Wise, and William’s siblings Maria and George James Spratt Wise and Henry George Wise and Elizabeth Humphries, amongst a long list of other Wise graves, that I was still unsure about placing. I emailed Carol for photos and she replied within a day. 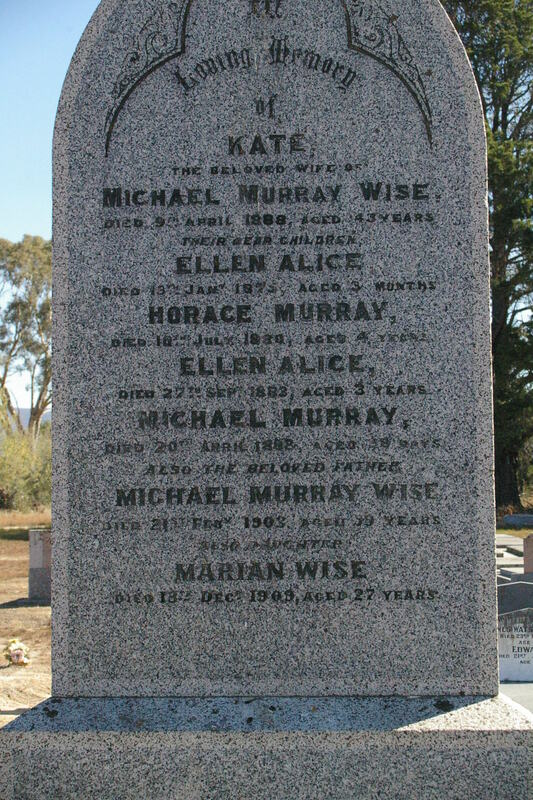 It was tragic to read the gravestone of Michael Murray and Kate Wise, where so many of their children had died in infancy and see that in 1888 Kate Wise died and her youngest child, also Michael Murray Wise died a short time later. It would seem that Kate had died shortly after childbirth. 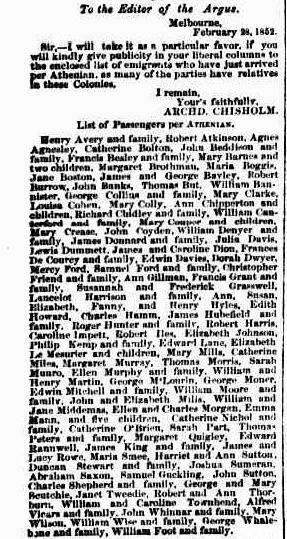 The Argus, 14 April 1888, Birth of Michael Murray Wise Jnr and Death of Kate Wise are listed in this newspaper clipping. Headstone for Michael Murray and Kate Wise and some of their children. Michael and Kate were first cousins, Michael was the son of William McOboy Wise and Kate was the daughter of George Henry Wise. Upon receiving the photos above I decided my next venture was to visit Avoca and see for myself the towns, visit the ADHS rooms in the Old Courthouse in the main street of Avoca and visit the Avoca Cemetery and Lamplough and Percydale townships. Geoff and I, together with my sister Lavinia Chrystal went on a journey to Avoca, Lamplough and Percydale in Victoria in August 2011. Percydale being the tiny gold mining town – and now a ghost town, where my grandmother Mabel Jackson Wise (1878-1971) lived as a small child. Her younger brother Cyril Raymond “Kelly” Wise and sisters Irene and Ruby were all born in Percydale between the years 1883 and 1887. Their parents, George Edwin and Agnes Amelia Wise, helped to run the Kilpatrick Wise General Stores with his brothers and their wives, in Avoca and Percydale. The stores provided every provision needed for everyday life in the outback, including groceries such as flours, grains and cereals and dairy, fresh fruits and vegetables, gold mining equipment, linens and draperies, pots and pans. They ran a butchery, an assayer’s office and post office. William McOboy even set up an auctioneer’s house next door in the main street of Avoca, his partner James Kilpatrick was a linen draper from Dublin. All their children were employed in the business, however, it was George Edwin Wise who took the general stores to the New South Wales outback and set up department stores from Wellington to Dubbo, creating a huge money making venture for the family that became known as the Western Stores. Maps on the previous pages are courtesy of ADHS Library. Avoca and Districts Historical Society Library, Maps and Files (ADHS), also grateful thanks to their volunteer researchers including their president, Tony O’Shea. Avoca. (CSO 22/10/1855. 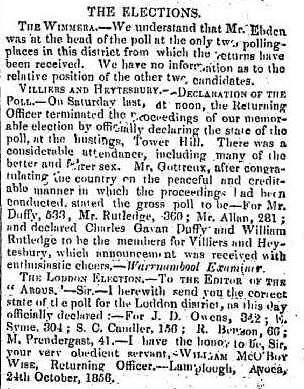 VGG No 106, 24/10/1855, Vol III, p 2712. Repeated with correction spelling, No 112, 9/11/1855.) 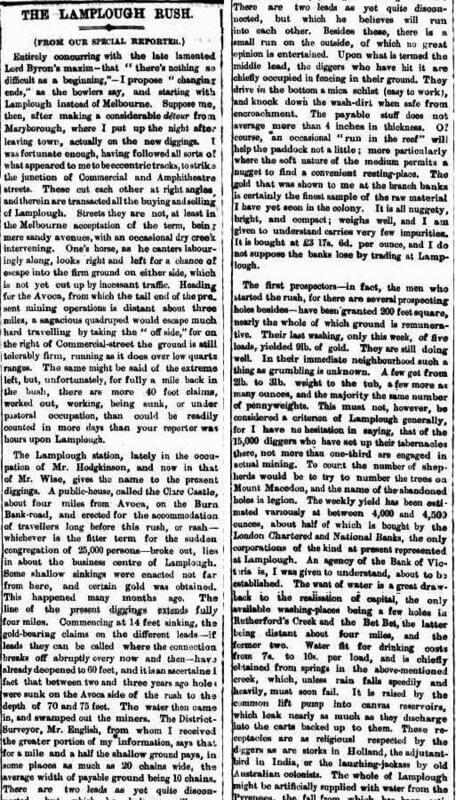 Two horses stolen from Lamplough Station (VPG 29/11/1855.) Advert. W.M. Wise. general Auctioneer land and Stock Commission Agent. Sale Yard: Lexton Hotel, Burn Bank and Avoca Hotel, Avoca. (MADA 22/6/1858.) Auction notice. Avoca. (MADA 27/6/1859.) Auctioneer, Lamplough. Missing horse notice. (VGG No 23 p 356, 21/2/1860). Mr Wise scrutineer for Mr Vogel. (MADA. 7/8/1861). Gold struck at Wise’s paddock yesterday morning (22/1?) (BA 26/1/1860.) About a mile and a half on the Avoca side of the business centre. Half still crown land. (Arg. Correspondent. 30/1/1860.) Centre of attraction. (BA 2/2/1860.) Partly Government and partly private land. (Arg. via BA 2/2/1860.) 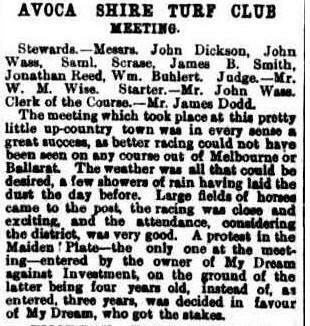 “A revival has taken place beyond Wise’s paddock, and in the direction of the Avoca. ” (MADA 6/2/1860. ) Diggers took possession of a fine garden in the middle of it. (MAA 7/2/1860.) Wise’s garden rushed. Frightened out of his wits. (BS 7/2/1860. MH 9/2/1860. See also his obituary AM 25/7/1873 for description of garden.) “Continual fluctuations of the pursued course …” (MADA 10/2/1860.) 13 or 20 holes are in active operation. (MADA 15/2/1860.) “Has received instructions from the proprietors, Messrs J.H. 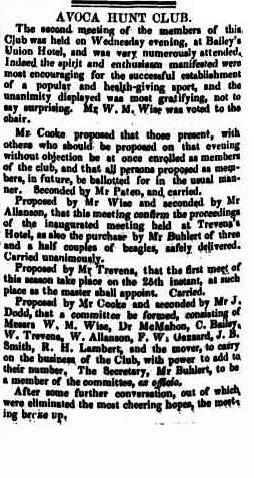 Clough and Co., Wool~brokers, Melbourne, to sell …” (MADA 17/2/1860.) One of the stewards, Avoca Annual races. (MADA 6/4/1860). Prospecting claim on Lamplough Flat near Wise’s Paddock. (MADA 24/10/1860). Auctioneers licence. Avoca. 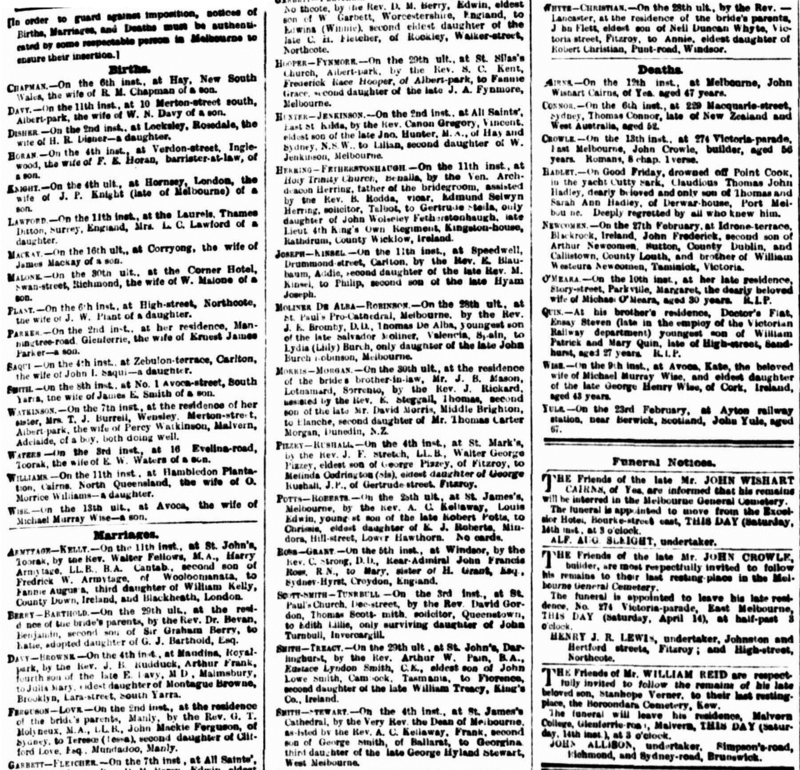 (VGG No 12, p 153, 25/1/1861.) James Bodell stayed with him for three months in 1863. House on 300 acres of land about 2 miles from Avoca. (Bodell. P 124.) 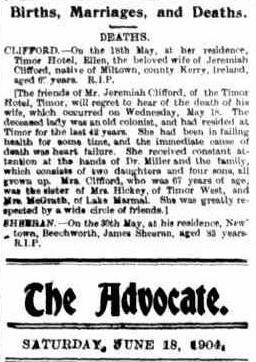 Death 22/7/1873. Died at Coffey’s Hotel, Moonambel Rd. Compression of the brain. Fell from horse. Age 58 years. Born Cork 1815. Emigrated 1851. President of Avoca Turf Club. Master of Avoca Hounds. 500 at funeral. Buried at Avoca Cemetery. (AM 22, 25/7/1873.) Place of abode Lamplough. House and land 1856 (ER). 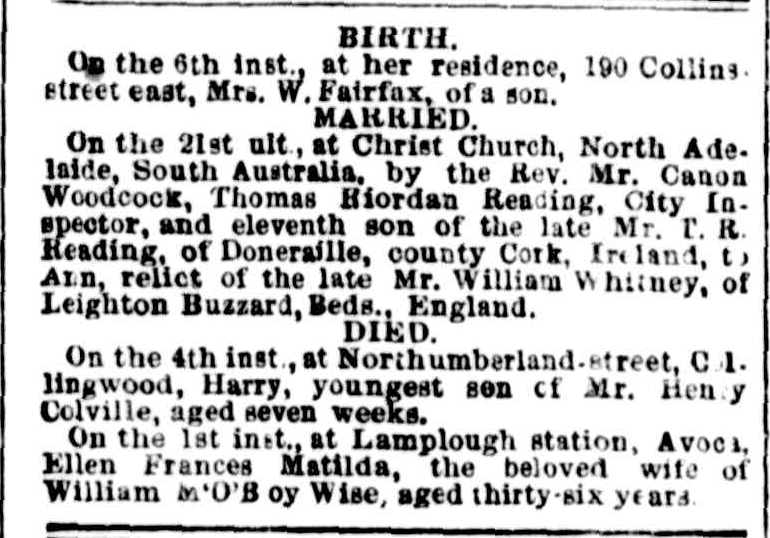 Wife Ellen Francis Matilda died 1/6 age 36 years at Lamplough (Argus 7/6/1855). Racing at Avoca. Wise’s horses (BL via MAM 20/4/1857). To auction on 20/8/1864 full share in one and all crushing machine (AM?). Photo of Mahala (Reed) and James Wise actually courtesy of me, Felicity Gabbrielli. I supplied it to John Lee. I am a descendant of the Reed family and my family looked after Ada Wise when her parents died prematurely. Dr Robert Peers here! MLC boarders’ dance 1962, and we’re both still kicking. 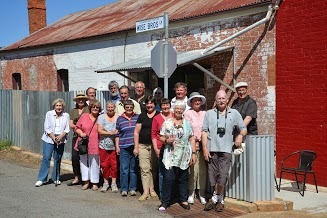 How did the Reeds get mixed up with the Chenus of Moulamein? 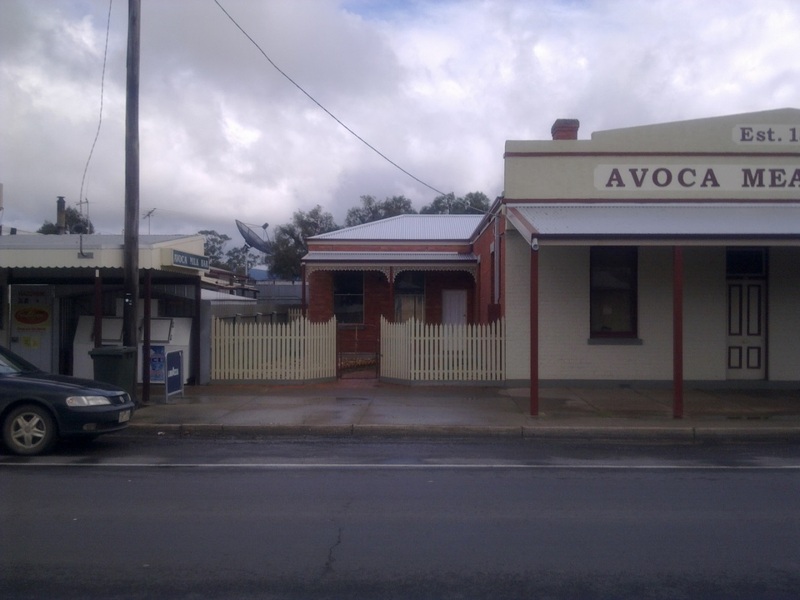 I used to go through Avoca a lot years ago, on my way up to Murrayville, in the Mallee, to see my parents. I had no idea your forebear Mahala Wise [nee Reed] on that side once lived there, as I downed my beer and played the piano at the Avoca Hotel, or ordered a fabulous home-made meat pie over the road. Drop me a line! Photo of Mahala (Reed) and James Wise actually courtesy of me, Felicity Gabbrielli. I supplied it to John Lee. I am a descendant of the Reed family and my family looked after Ada Wise when her parents died prematurely. Thank you for this complete record Virginia. 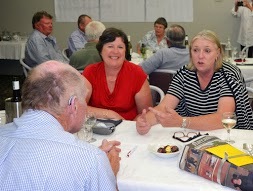 We met at the Wise reunion in Narrandra, I am Philippa Wise, (Pampel) daughter of Henry George and Margaret Elsie Wise and have just been reading all the above. I would love it if you could please email me all the above information.